China's State Council, the cabinet, has issued an action plan to improve its citizens' scientific literacy over the 13th five-year-plan period (2016-2020). China's 13th Five-Year Plan will create more opportunities for sustainable growth within and beyond its borders. 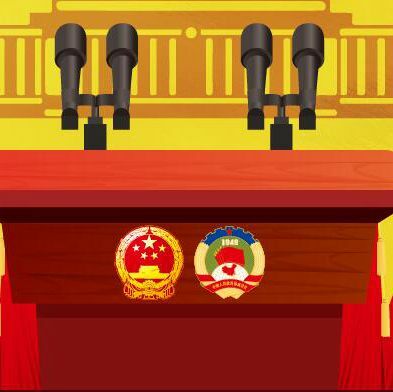 China's 13th Five-Year Plan created for the country a brand new blueprint. Let's take a look at the 10 key investment fields in the 13th Five-Year Plan. The draft outline of the 13th Five-Year Plan on national economy and social development was endorsed Wednesday. The response from Taiwan will be a key factor in the infrastructure projects across the Taiwan Straits proposed in the 13th Five-Year Plan. China will release its 13th five-year plan on education this year to deepen reform and promote the modernization of education. China will carry out early-stage work on inland nuclear power plants and approve construction of some new coastal nuclear projects. The draft outline of the 13th Five-Year Plan (2016-2020) on national economy and social development was presented on Saturday. China will build a multilateral, democratic and transparent Internet governance system. China will put a cap on annual energy consumption between 2016 and 2020 to promote energy saving. China's population will be about 1.42 billion by the end of 2020. China will ease the criteria for foreign technical talents applying for permanent residence in the country. China expects an average annual economic growth of above 6.5 percent from 2016 to 2020. China will strengthen the top-level design of its maritime strategy and make a basic maritime law between 2016 and 2020. From economists to entrepreneurs, Chinese elites are refuting western predictions of China's "economic collapse" and mulling policy prescriptions to ride through challenges, during the NPC and CPPCC sessions. Zhang Chuanwei, an NPC deputy and an industrial figure, dismissed the allegation that overcapacity is bogging down China's wind turbine manufacturing sector. Should China establish overseas military bases?